When you thought you’d seen it all in the world of structural engineering, the Big Bend comes along! Plans for the modern take on a skyscraper were announced last month by architecture firm, Oiio. If completed, it will be the longest building in the world, taking into account it’s impressive curve. Why the bend you ask? Well, Oiio’s concept tackles a growing problem in New York—lack of space! Building up and over existing space on Billionaire’s Row, the new skyscraper can provide vital space without encroaching on New York’s costly zoning rules. But the new build proposal isn’t without its challenges! 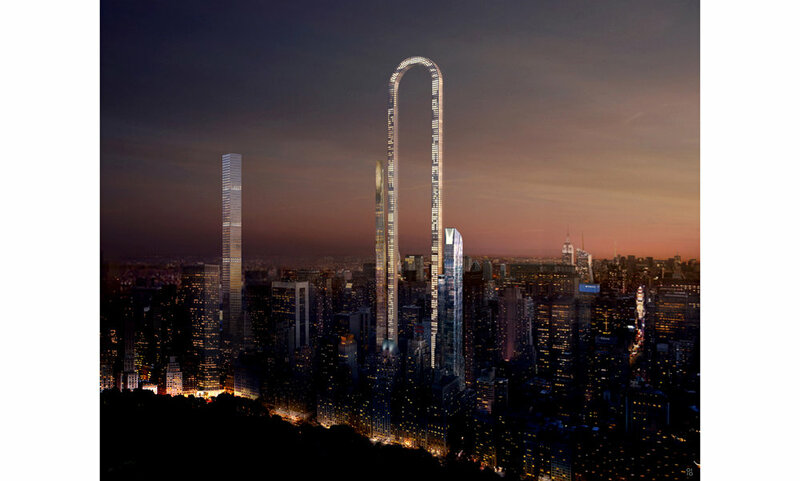 One of its innovative features will be a new system of elevators, specially designed for this project, which will cater for the curve, meaning users could travel in all directions of a loop! If you’re afraid of heights, it might be an idea to give it a miss! We will now have to wait and see if the structure secures the funding it needs to get off the ground. As a concept it is masterful, unique and bold. Whether this can translate to a real-world build is yet to be seen. All we hope for is that, if it is built, it has a viewing platform so architecture nerds like us (or adrenaline junkies!) can witness the splendour of the building and it’s incredible view over New York. Does Engineering interest you? Then consider Engineering qualifications at CU Coventry, CU London and CU Scarborough.